Blog Award!!! WOW!! Thank You!!! I want to thank Jennifer & Summer for sending this my way. Thank you so much!!! Please stop by and see them at Cricut Diaries! Upon receiving this award I must thank the person (s) and link it back to their blog, inform all the new recipients of their award, and share 8 things about myself. Pass it on to 8 individuals (blogs) that you recently discovered. This is always a great way to find new inspiration so be sure to check them out! Now to do this is going to be tough because many of the ones I was going to choose are now on Jennifer & Summer's list. I have to go a hunting for ones to choose :) (I just laughed to myself...lol ... I just thought of Elmer Fudd - I love hunting wabbit ) Ok, ok now back to my hunting.....here are the 8 that I chose. 1. I love to spend time with my special son -help with therapy. 2. I play Concert Piano and love it. 3. I love our cuddle time- son and I read the Bible together before he turns in. Hey Leah!! 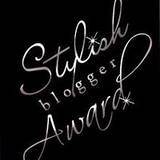 Thank you for the bloggy award!! Seems we have a few things in common. The most important... we both married sailors!! hee hee!!! Thanks Leah for the award! I appreciate it. Concert piano...WOW that must be awesome for you and your family. I've always wanted to learn piano, but first I probably need to learn how to read music lol!